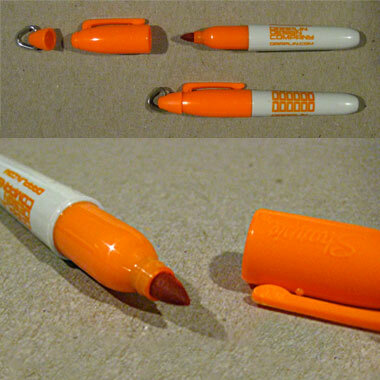 Draplin Design Co.: DDC-026 "Keychain Sharpie"
All the benefits of a Sharpie, but small and perfect for yer keychain. 03. Orange ink, orange pen, orange life. 05. Goes well with a well-worn set of keys. Spruce ‘em up some. 06. Peculiar “Prince Albert” design, that we won’t even try to figure out.